**Top quality ** and higher content - 600 mg in each capsule. Top quality: made by hand with best quality(*) moringa leaf powder and higher content in each capsule (600 mg). 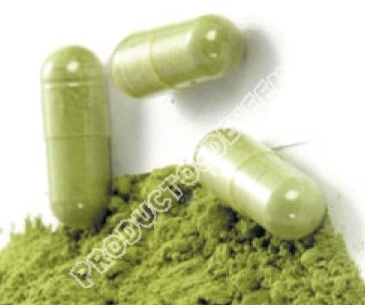 The exterior of the moringa capsules is made exclusively with the matter of vegetable origin (rice fiber). (*) Moringa leaves are carefully washed and dried in the shade, without exposing them directly to the sunlight. This way, the fresh green color and nutrients in moringa leaves are preserved almost totally. If the neem tree was declared "The people's pharmacy" by his extraordinary ability to treat many diseases, as well as for the strengthening of the immune system, protecting us from diseases like flu; the moringa tree (in his "oleifera" kind) is called "The miracle tree" for his amazing nutritional properties. <Click here to see video documentary>. There are many ways to consume moringa, by adding it in recipes, taking moringa tea, etc. But, the most effective way, is directly eating the dried powder of the leaves (for example, in format of moringa capsules). This is because any formula involving boiling or cooking moringa leaves is going to significantly decrease the amount of vitamins contained in it. In addition, the amount of nutrients in moringa dried powder is far exceeding than the ones contained in fresh moringa leaves, considering gram per gram. The explanation is because the powder is highly concentrated, requiring 8 kg of fresh moringa leaves to produce 1 kg of moringa leaf powder, <see a comparison between fresh sheets and powder dehydrated (in English) >. Only in the case of vitamin C, its content is lower in the dehydrated powder, but even so, dried moringa leaf powder contains half of vitamin C than oranges. Besides, moringa has no unwanted side effects, both in children and in adults. Even it has been scientifically proved that regular consumption of moringa for lactating women, increase the quantity and quality of the milk produced. More recently, moringa has achieved greater popularity after the spread of the legend that was the remedy which saved Fidel Castro of his last serious illness. This is certainly an exaggeration, for a few statements made by "the Commander" who declared fervent supporter of this natural medicine. Although undoubtedly the high proportion of nutrients (proteins, vitamins and minerals) which contains the moringa, collaborated in his post-operative recovery. Despite its nickname, the Moringa is not a miracle tree but, simply, an excellent food, packed with nutrition, necessary either for correct development of children as well as for the strengthening of the health of adults. The Moringa is a natural source of vitamins, minerals, proteins, antioxidants and other important compounds that the body needs to stay healthy. Composition. Moringa leaf powder 600 gr. Other ingredients: transparent capsule of plant origin. - Children up to 15 years: 1 capsule, 1 or 2 times a day, with breakfast or lunch. - Adults: 1-2 capsules, 2 times a day. Note: Pregnant or breastfeeding women can increase the dose up to 6 capsules daily of moringa. Then, normal dose.